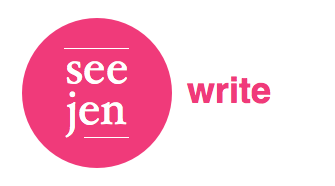 lilmissjen: How (not) to set up your SEM campaign. Ever since Bud pointed out that no 2010 Super Bowl ads had utilized a custom SEM strategy for the event, I've had some serious longing for smart search strategy in a TV spot. Something inspiring, a la Converse's web of paid search and microsites of 2008. I've come across nothing so far, despite the fact that search and TV are said to work in tandem. 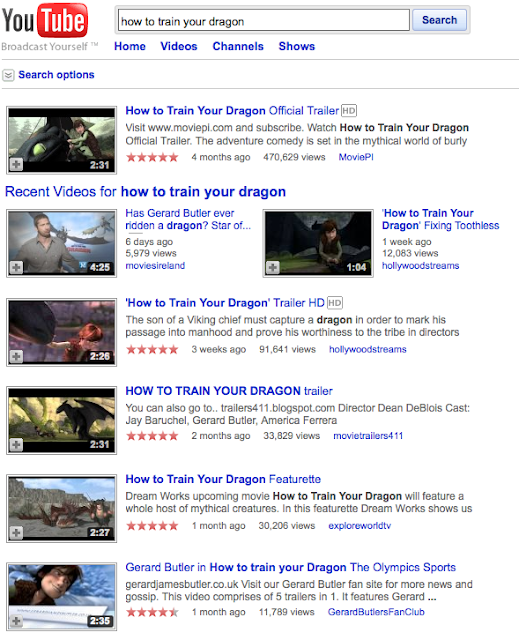 Last night, however, a curious bit of voice-over in a spot for DreamWorks' "How To Train Your Dragon" made my ears perk up - would tonight be the night? I wondered. Watch this trailer, a typical spot promoting the film. Fairly normal stuff. There are four or so more like it, various cuts and edits, but mostly the same. Now take a look at this, the cut I saw tonight. 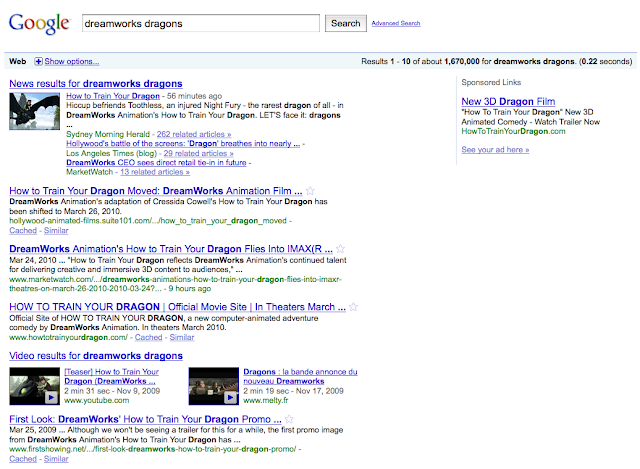 ...and the movie-preview-voice-guy bust out with "DreamWorks' Dragons!" Nobody in a million years, I decided, would pay millions of dollars to produce and advertise a film and get the name wrong in one cut of the trailer. A clever ruse, to see who's paying attention? I hoped so. It had to be deliberate. 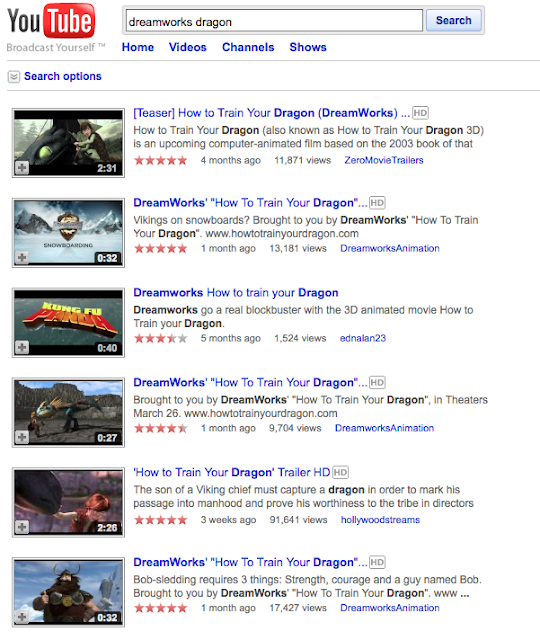 and then, "dreamworks dragons", hoping for something clever and awe-inspiring. Disappointingly, nothing was remarkable about the latter. So, I tried a YouTube search. 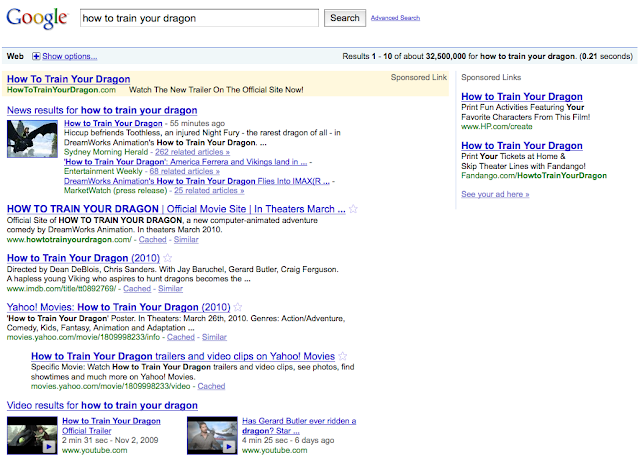 I Bing-ed, I Yahoo!-ed, I even Asked. Standard results across the board, and no apparent cleverness at play. As it were, the voice-over-guy was just saying the name wrong, and tonight was not the night. I apologize for leading you down this path, only to dash your hopes for SEM greatness at the end of the road. Trust me, I'm just as disappointed as you are. I do, however, have a few takeaways from this little wild goose-chase. They are threefold. 1. Unless it's deliberately incorrect for a higher purpose, don't be cute about the name of your product in your marketing efforts. Or, if you're going to do so, be consistent. The name of your product is a mainstay of your brand equity. It is important. Calling your product by a different name in just one of a series of ads, that's just bad branding. And it's confusing, especially in an environment where people often multitask, listening and not really watching. Bad idea. 2. Never forget that you always, ALWAYS have the opportunity to do cool things with search. Search can be custom-built to fit literally any campaign, so don't say you can't do it. Cap your budgets at five bucks a day, if you're low on cash. But by all means, utilize this space. It's your playground. People are searching for you - television and search build upon each other, there's no doubt about it. Use this to your advantage. 3. There is always a geek out there somewhere paying attention to your ad, your product, your campaign. Every campaign you put out has the opportunity to be great, even if it's just a movie trailer. Try to produce campaigns worthy of greatness, worthy of scrutiny, wherever possible. And finally, if your inner child really is a child, like mine is, go see this movie. It looks awesome, whatever it's called. Oh, now that is just…awkward.